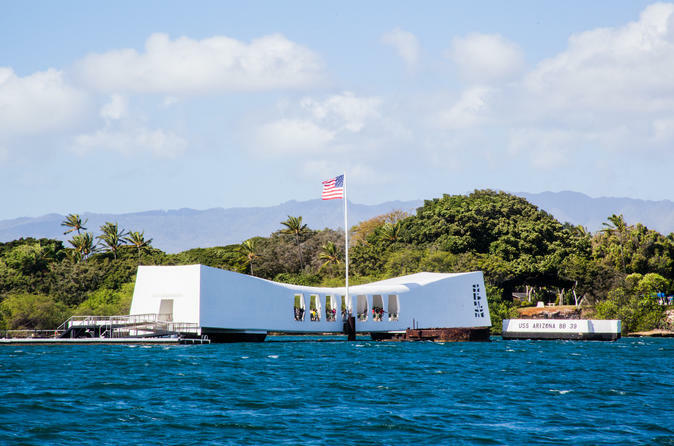 Explore one of the most important monuments of Hawaii’s history with this Pearl Harbor Pass. The Pearl Harbor Pass includes entry to the USS Bowfin Submarine, a USS Arizona Memorial Audio Tour, Pacific Aviation Museum and Pearl Harbor Shuttle. Plus choose 2 of 5 other top attractions in and around Honolulu to visit. Explore the fascinating history of Pearl Harbor for one low price. Take the USS Arizona Audio Tour, learn about the history of the USS Bowfin Submarine and explore the history of aviation at the Pacific Aviation Museum. Ride the shuttle between Pearl Harbor and Waikiki, which provides a fast and easy way to travel between the two popular destinations. The pass is valid for 1 month from date of issuance allowing you to immerse yourself in one of the most significant events of World War II at your own pace. A complimentary information guide is also included with the pass.